Some of the details of the construction of the Egyptian Great Pyramid are revealed to the public for the first time when they go on display at the Egyptian Museum in Cairo. 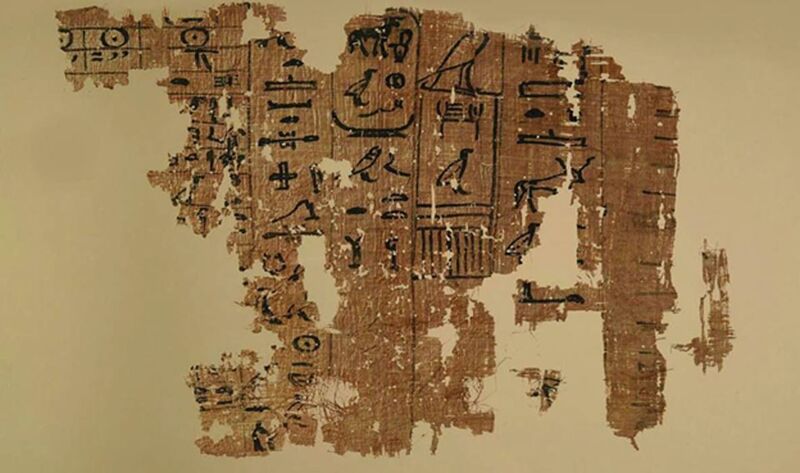 The information comes in the form of a papyri logbook written by an inspector named Merer. While much about the building of the pyramids remains unknown and speculative, the precious text sheds at least some light on the later aspects of the building process. 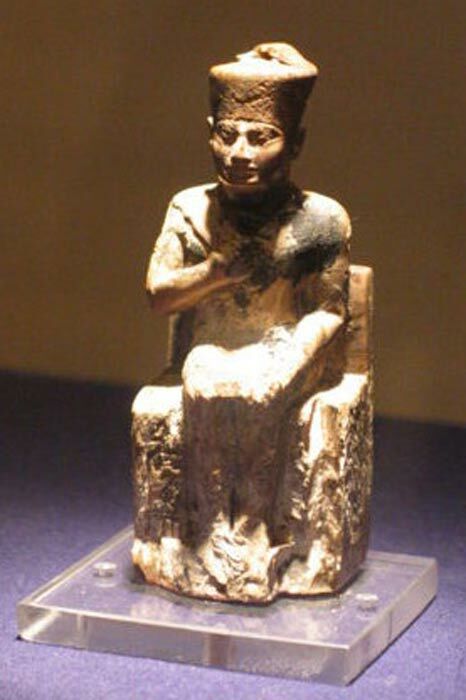 According to Live Science , Merer wrote in hieroglyphics how he was in charge of about 200 men and gave some information about the construction process while he was working on it in the 27th year of Khufu's reign. Writing on the document in 2014 (it was unearthed in 2013), the archaeologists Pierre Tallet and Gregory Marouard said that the pyramid was nearing completion when the text was written. Merer wrote that the work at that time was focused on creating the limestone casing to cover the pyramid. The archaeologists’ research on the logbook was published as an article in the journal Near Eastern Archaeology . They explained in their article that the document is comprised of more than 300 fragments of varying sizes and provides details on the inspector’s daily activities over several months. Live Science reports that it is uncertain how long the logbook will be on display at the Egyptian Museum. Some researchers say that the ’Horizon of Khufu’ refers to the pharaoh Khufu’s name for his necropolis. The Great Pyramid is the only Giza pyramid that has air shafts . This pyramid was built with such precision that it has been said that it would be difficult to replicate it even with today’s technology. This point is one of the reasons why so many people are fascinated by the pyramid’s construction. Within the Great Pyramid, there are areas that are called the King's Chamber, the Queen's Chamber, and the Subterranean Chamber. It should be noted however that there is much debate over these names and the purpose of the pyramid itself. Mainstream archaeology accepts that the pyramid was built around 2500 BC and commissioned by King Khufu for his tomb. However, much controversy surrounds these conclusions. For example, German archaeologists in 2013, argued that the Great Pyramid is much older and served a different purpose . The debate over the pyramid’s construction and use continues to enthrall many researchers and, although work continues at the site, many of the questions behind this fascinating ancient structure remain unanswered. I don't think its much older, just seems that way, if it was much older, then that papyrus would not have survived time at all, especially since it was not in some box or whatever to protect it. the log book was meant to be temporary, if not, it would have been buried with care..
Also: where there are chambers, does indicate strongly about tombs.. I think some out there just want it to be something more, being so fascinating, it does seem to be more, but it is not really. Move on.. The Papyrus only details the outer construction. The limestone casing on the upper layer of the pyramid. I think that's the point. Many megalithic structures around the world existed much older than Khufu, and many were refashioned or built on top of, used as foundations. I think the question people have is if Khufu was a builder or just did renovations. I would agree to him only doing renovations. All other more major construction would be secretive. I doubt very much we find anything documents on just how they transported their stones. And how they hoisted them up so high at carnac. Also their obylisk's. ^^^Yeah....except that doesn't line up with scientific evidence. There being chambers does not "indicate strongly about tombs", because there is nothing present which would indicate a tomb. It seems that smooth sided pyramids are not used for tombs,...mostly because we never find tombs in them. Step pyramids seem to be more commonly used for tombs. And the normal, accepted story where (if you do the math), one granite block was quarried, transported, and placed every 6 seconds (yes, only six seconds a block) doesn't make much sense to me. Even regardless of the time taken.....id like you to show me how to shape granite with copper tools. it's ok, I'll wait. That papyrus looks so fake, its not even funny.